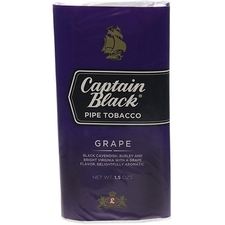 The Captain Black blends are a line of aromatic Cavendish concoctions that enjoy an immensely widespread popularity the world over. 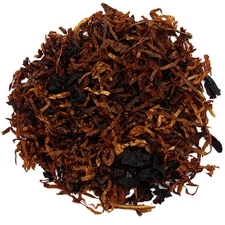 In the Royal mixture, both black and golden Cavendish tobaccos are blended for a more complex smoke. Royal is part of my regular rotation (don't judge me). 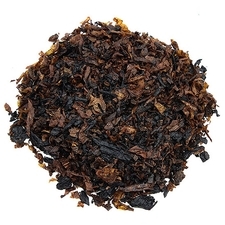 Royal is the bast CB blend. Mild, nice room note, not bitey, and affordable. Royal is my favorite CB blend, and I'd go even further to say it's my favorite OTC blend. It's so creamy and tasty. I keep this one around all the time. 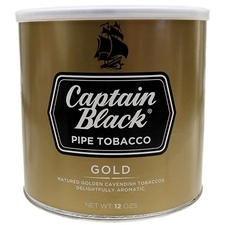 I enjoy this captain black blend best by far. 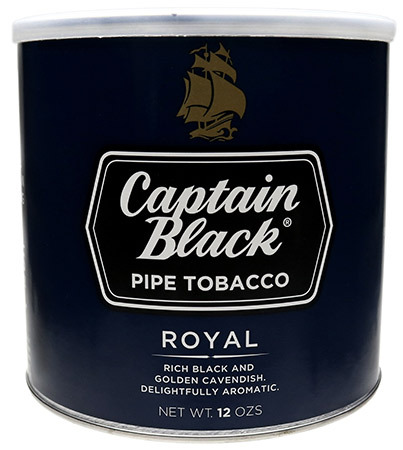 Even when I buy something else I always go back to Captain Black Royal. 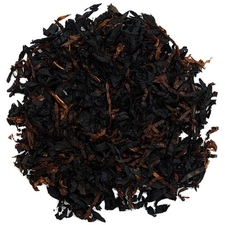 A more rich Cavendish blend of the classic Captain Black. I recommend this to someone who is a more advanced smoker. Rich Cavendish is a real treat. Takes me back to being a young man when my dad used to smoke from a pipe. The smell is great and the taste is smooth. Will be a part of my regular rotation. Se puede hacer mucho más que eso con Black Cavendish y Virginia... En general no está mal, pero si hay CB Original, no ordenaría esta mezcla. I like this one. I always keep it with me. I always enjoy it. Smoke this stuff everyday.Never get tired of it. No bite,no goop,not too sweet, nice flavor,whats not to like? Has a little better flavor and a little creamier than the white. Good anytime of the day. Smooth with a hint of sweetness. 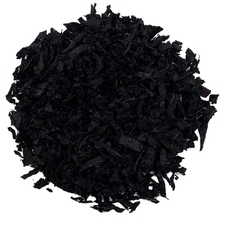 Best aroma of the Tobacco. 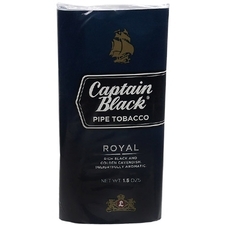 I have using captain black royal for past eighteen years and i like the taste of it as it is very smooth with good aromatic favor. 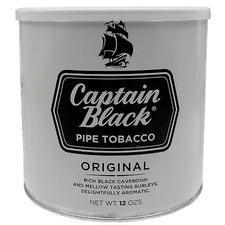 This was my first pipe tobacco I tried. It is OK, but I didn't feel it gave me the taste or the feeling I wanted it. Maybe it is too light. I will go on to try other things. Nice flavor, good room note, no bite. Compared to other CB blends this is my favorite. Not to bad, i have a different taste though. Little bit on bite for me..
After some years, I have smoked CB again. It is quite good, don't bite, ease to light and to smoke. The only negative side is, for me, it don't have a strong flavor. It was nice go back to oldies. Floor sweep. This tobacco is best enjoyed when thrown in the trash.